he prize was awarded for the University's contribution to performance sports engineering. Four decades of innovation and world-leading expertise in performance sports engineering by the University of Southampton has met with royal approval. 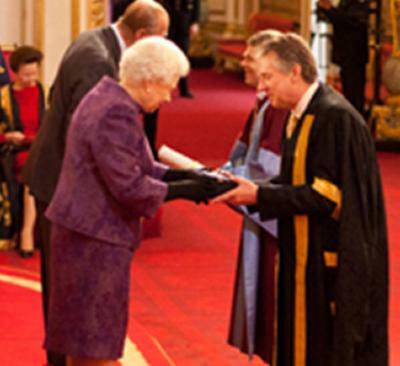 Today (Friday, 24 February), representatives from the University, including Vice-Chancellor Professor Don Nutbeam, visited Buckingham Palace to receive a prestigious Queen’s Anniversary Prize for Higher and Further Education. 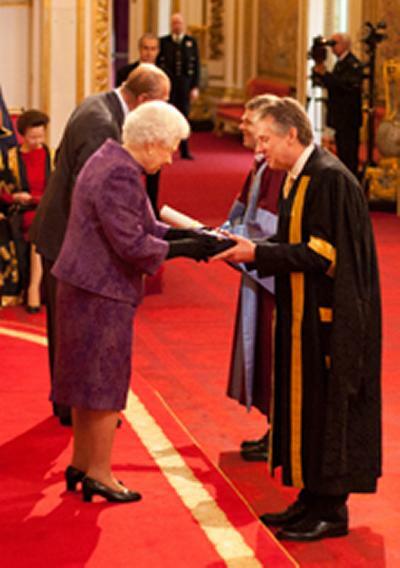 The Prizes are the UK’s most prestigious form of recognition for a UK academic or vocational institution, with approval from The Queen and Parliament. The University’s engineering expertise has supported sports ranging from cycling and F1 racing to swimming and yachting. As a result, a number of high-performance sports competitors have benefitted including several elite athletes such as track cyclist Sir Chris Hoy and skeleton bobsleigh athlete Amy Williams. The University of Southampton has been working in partnership with UK Sport since 2005 to ensure the best performance and preparation for British athletes. It is an official partner to UK Sport’s World Class Performance Programme working with sports including, cycling, swimming, sailing, rowing, canoeing and wheelchair racing in their pursuit of sporting success. The PSEL team of academics, consultancy engineers and postgraduate students conducts a diverse range of research covering fluid and structural dynamics, simulation technologies and sports science. It has contributed design expertise to the sails, hulls, keels and rudders on America’s Cup yachts, had a long-term impact on the aerodynamics of Formula One motor racing cars and become established as an international leader in performance sports engineering – supporting leading UK sportsmen and women.